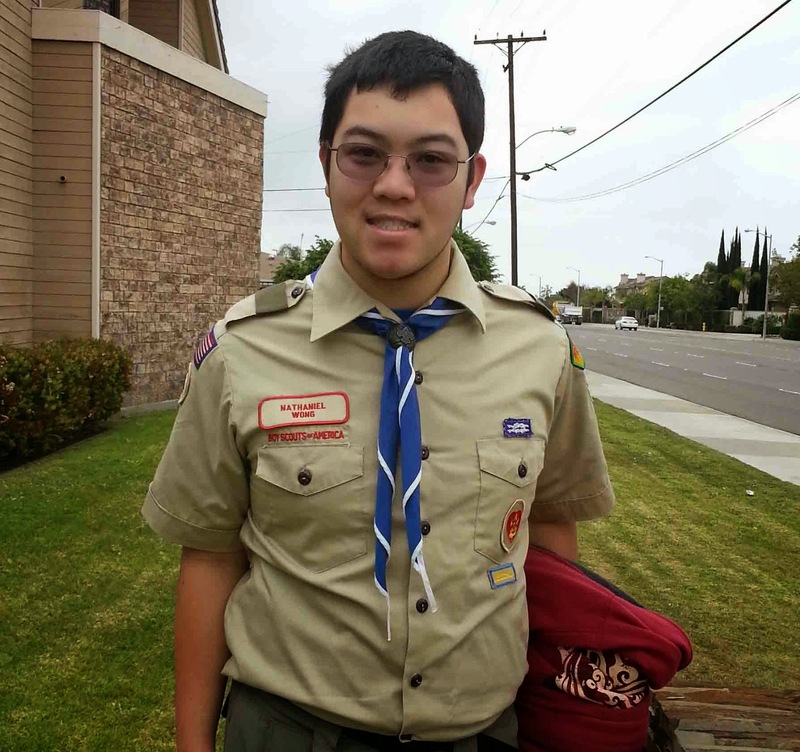 Nathaniel Wong's Eagle Scout project took hard work, but the finished garden turned out beautiful! 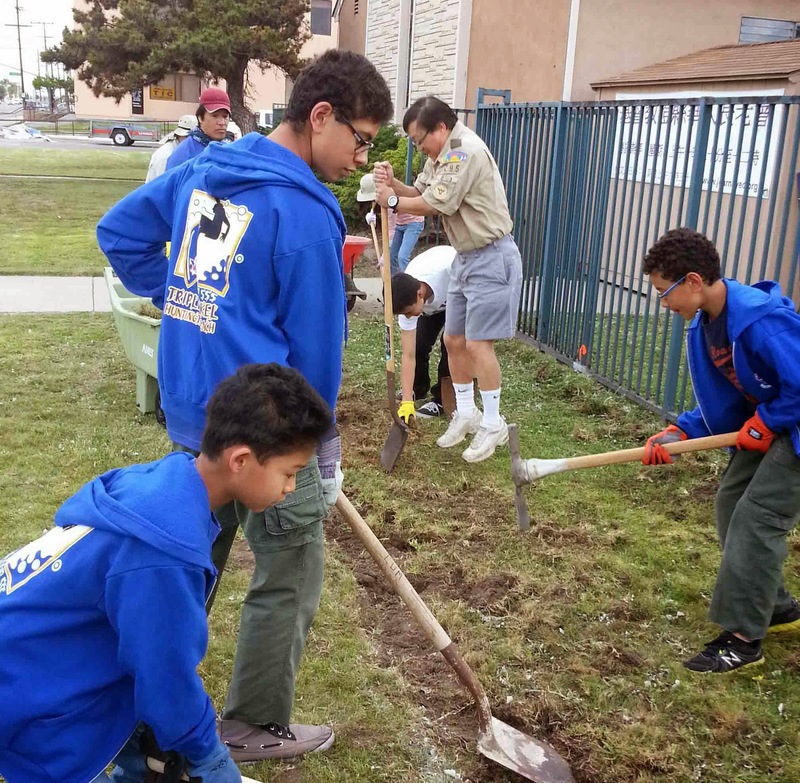 Nathaniel Wong and Troop 555 of Huntington Beach spent a recent Saturday completing Nathaniel's Eagle Scout project. For his project, Nathaniel chose to improve the aesthetics of the Journey Evangelical Church in Westminster. Nathaniel met with church elders, planned fundraising, determined which area of the church property could benefit from his project, prepared a budget, gathered equipment and coordinated volunteers. He also met with the City of Westminster to ensure no permits were required. 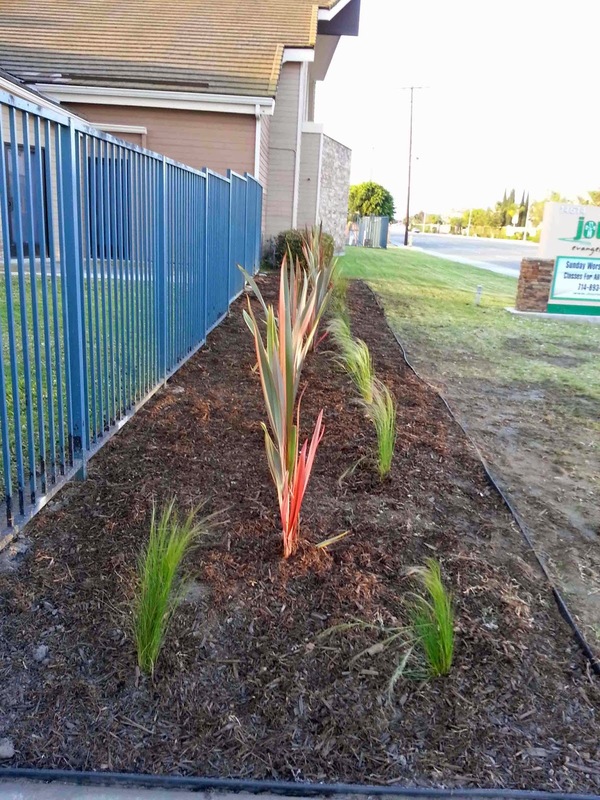 Nathaniel selected drought-tolerant plants for the 5' x 45' space in front of the church. Volunteers using picks and shovels removed grass from the area. Agromin's premium planting soil was then worked into the existing soil. After the plants were in, the garden was topped off with a layer of Agromin's organic mulch. The result is a beautiful, eye-catching, natural green space that will serve the church well for years to come. Agromin is a proud sponsor of many school, scouting and non-profit organizations. We were happy to donate a cubic yard of planting soil and an additional cubic yard of mulch to Nathaniel's project.